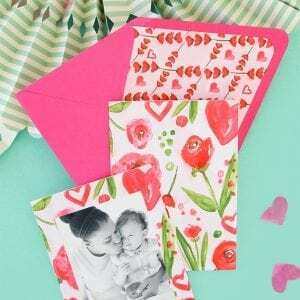 Damask Love started as a card-making blog. It was pretty paper stationery every single day. 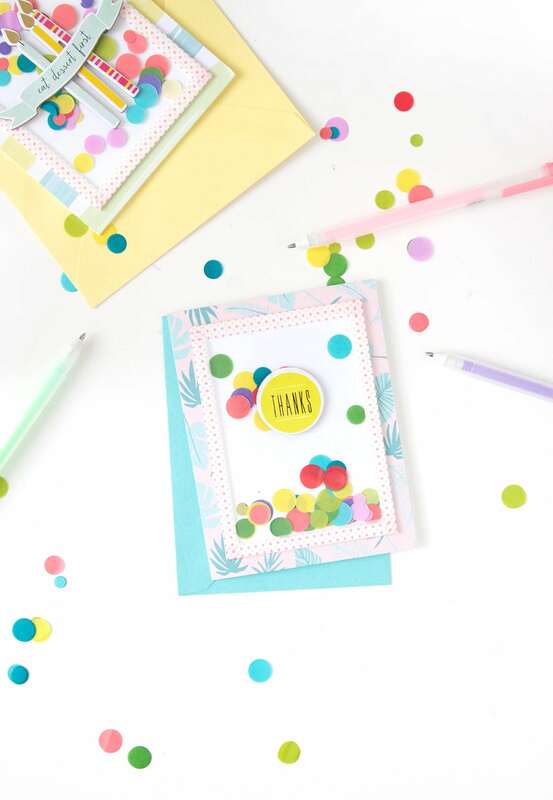 Even though, the blog has grown and evolved, I still have my love for cards and I still love making them. 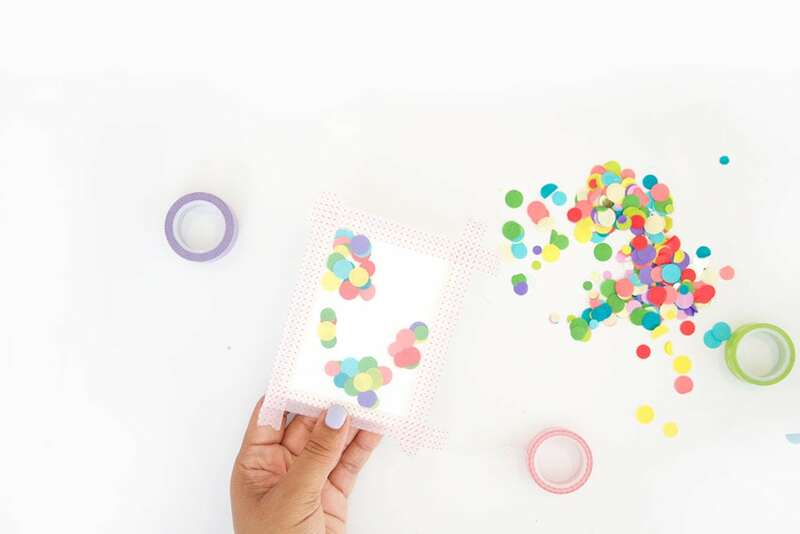 Especially when they involve confetti. 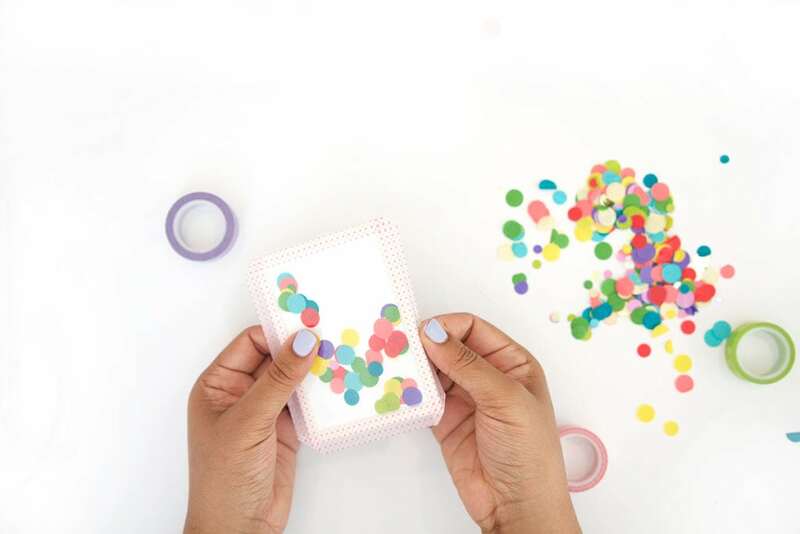 Lucky for you, today’s easy shaker cards do! 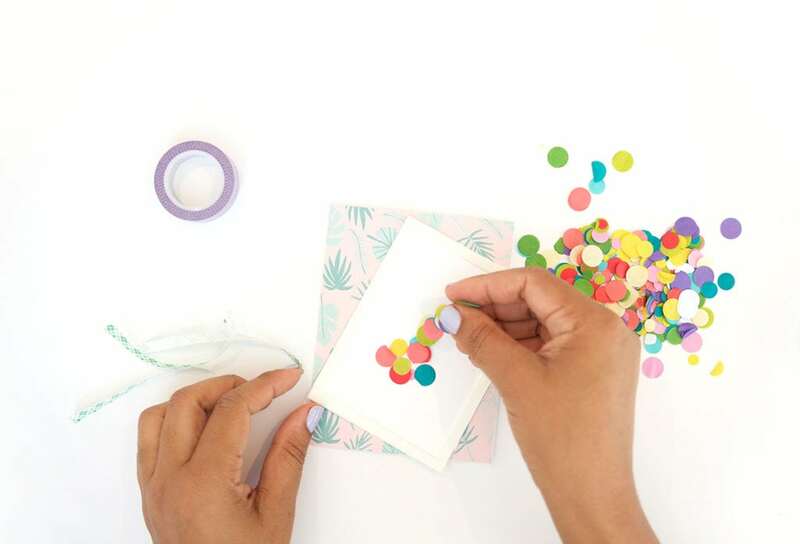 Since it’s National Letter Writing Month, I’m taking a sec to get back to making some cards – and showing you how easy it can be. 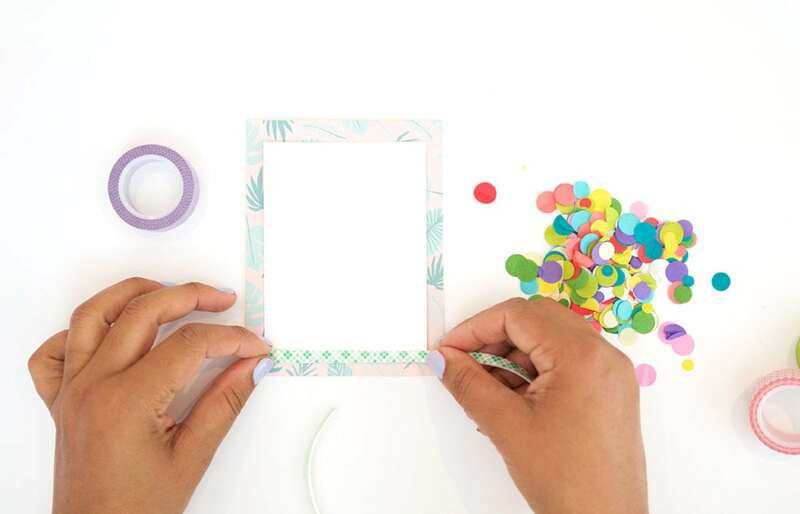 Instead of shelling out ten bucks for a specialty piece of stationery, why not just craft up your own. 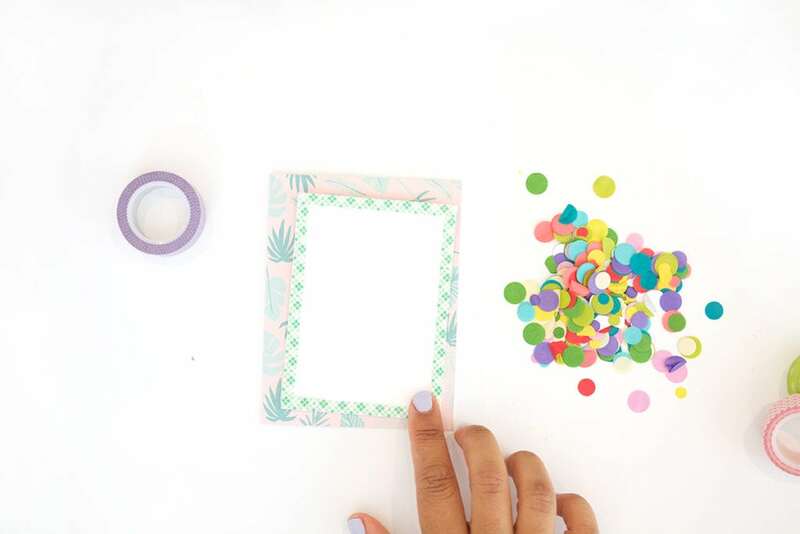 I got the inspiration for this easy shaker cards technique from this video tutorial by my crafty friend, Julie Ebersole. 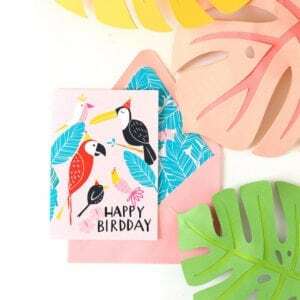 an A2 card made with patterned paper. 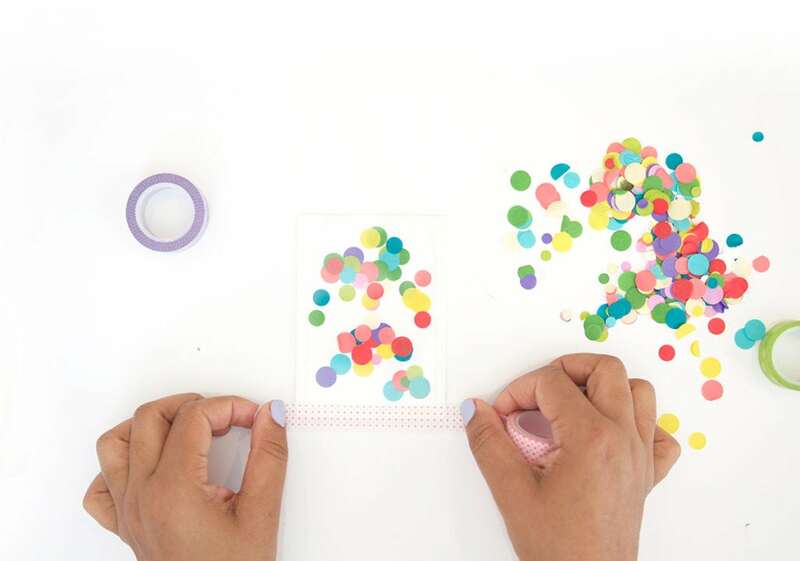 HERE’S an oldie but goodie lesson on how I make my patterned paper cards. 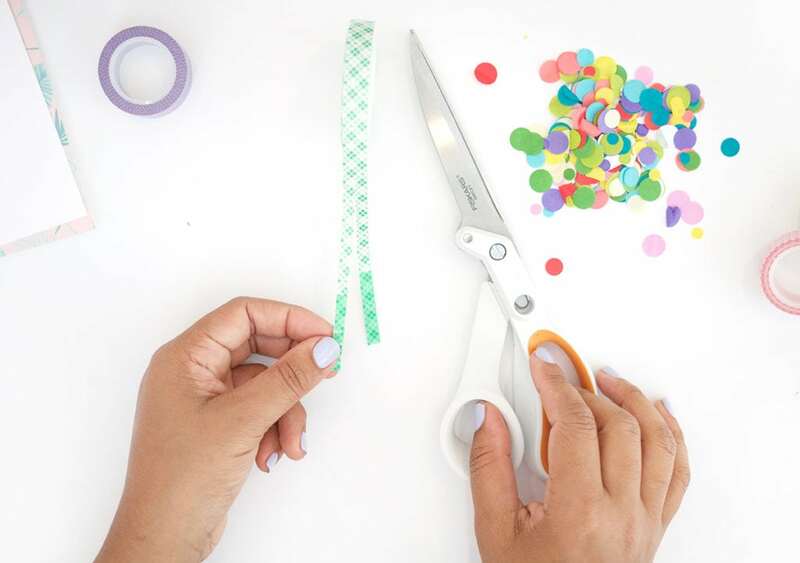 confetti…or you can use sequins. 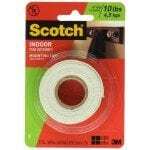 Cut the mounting tape in half, lengthwise to get thin strips. 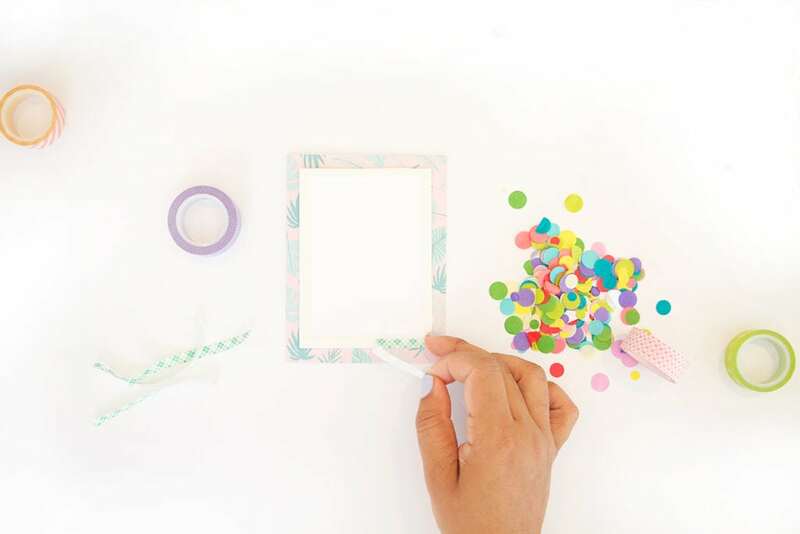 Then cover all four edges of the white cardstock with foam tape. Peel off the backing of the foam tape. 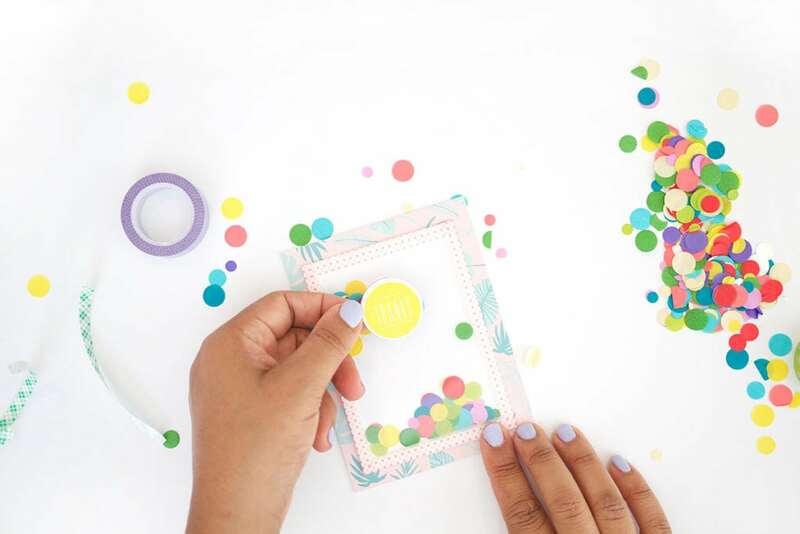 Sprinkle some confetti into the middle of the white cardstock, then place the clear cardstock on top and cover all the edges with washi tape. 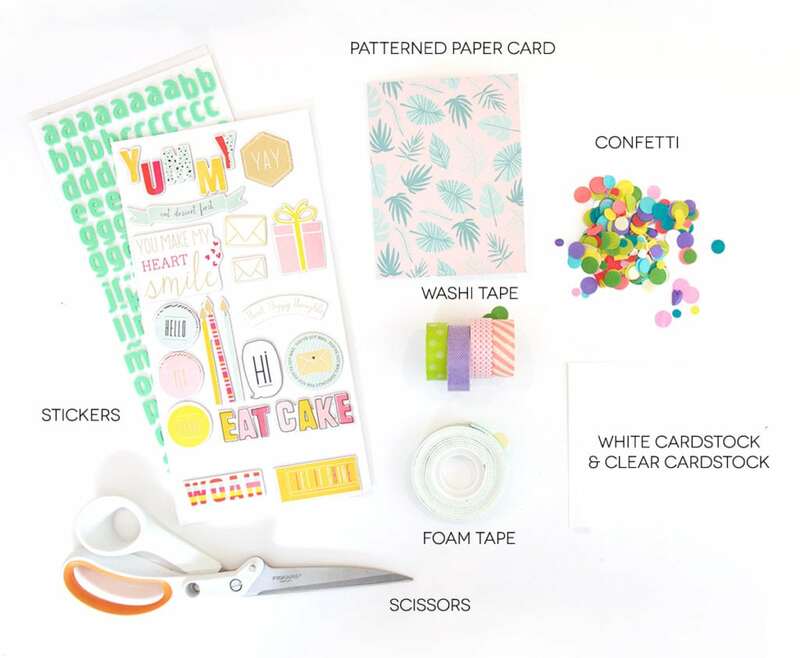 Fold down all the edges of the washi and then add a sticker to the front of the card. Easy! 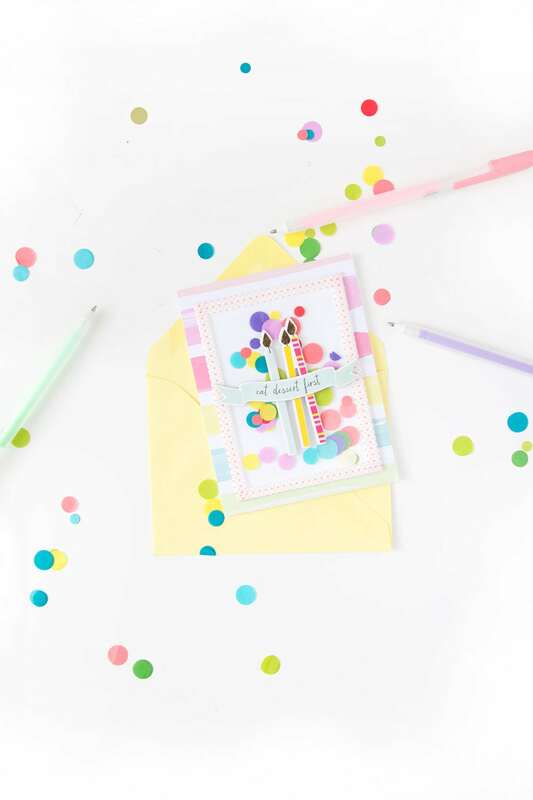 How much would you love to get a card like this in the mail! It’s a little interactive and a whole lot of awesome. 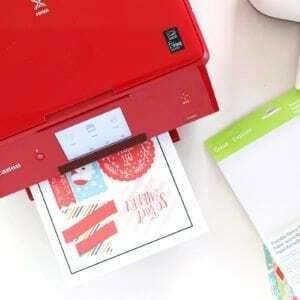 You can customize it in anyway you want! 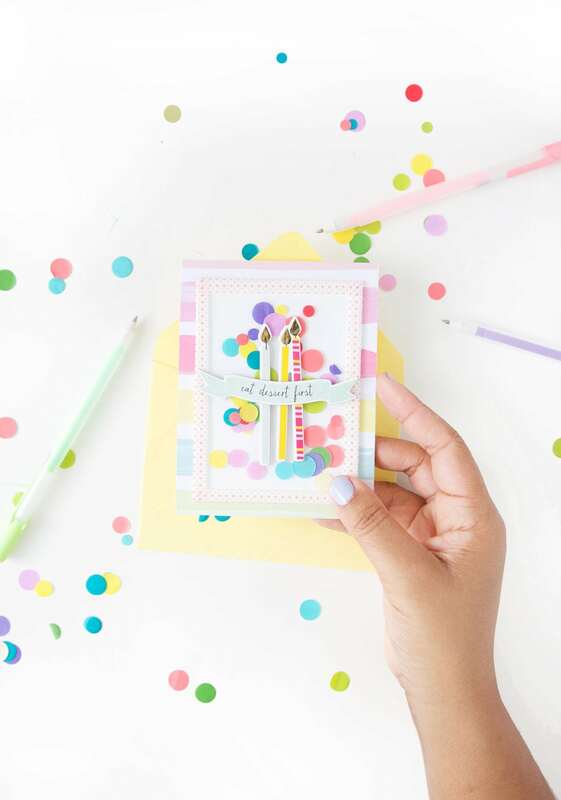 Stay tuned for more National Letter Writing Month inspiration in tomorrow’s newsletter! If you haven’t already signed up, just keep scrolling to the bottom of the blog where you can fill in your deets. 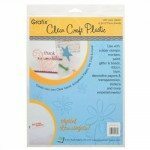 I started reading your blog when you were more of a card maker and really miss seeing your card creations. 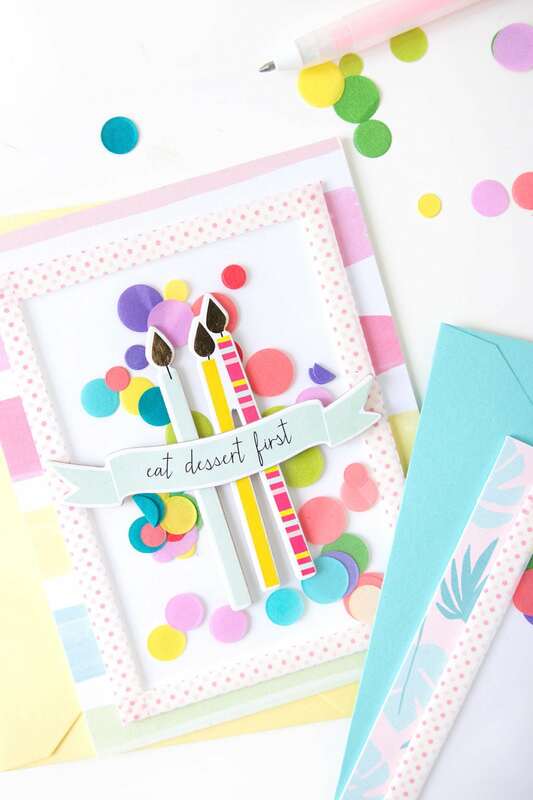 I hope you’ll share more cards on the blog, you have so much talent. 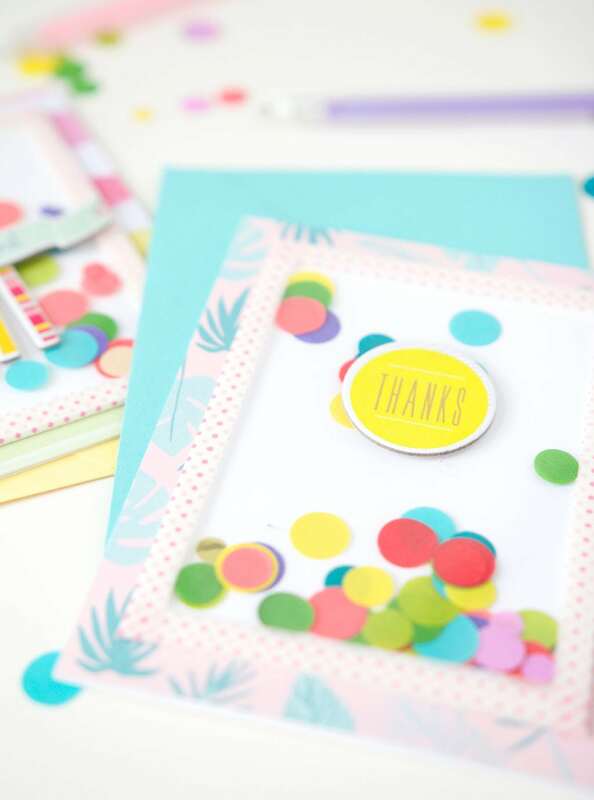 your posts are always so therapeutic as well as creative – a double thank you! we are also sharing few new tutorials to check you can visit our website. Adorable! Can’t wait to make these.